The women of St. John's have had a long tradition of quilting. Many years ago two parishioners – sisters, Mildred Johnson and Edith Williams – taught their quilting skills to a group of young women in the parish. 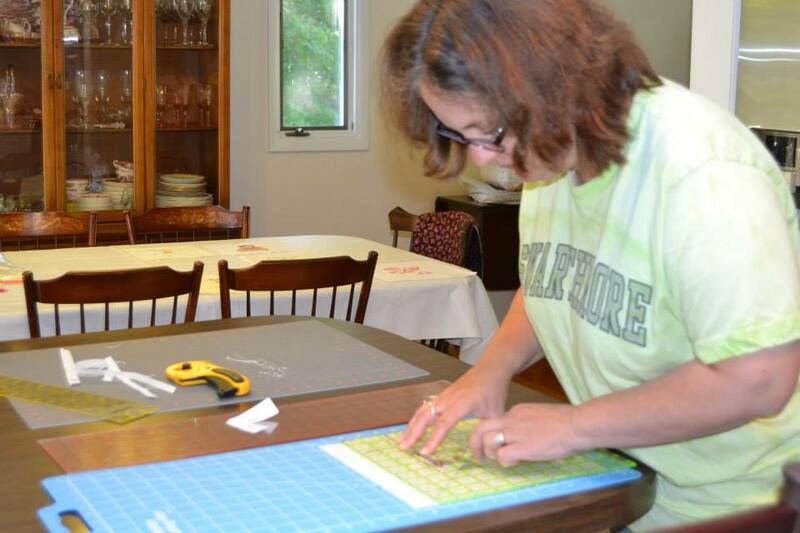 Current quilting teachers – Emily Bollman and Pat Edelstein – were members of that first class of quilters. That group also included Gail Coyle – mother and grandmother of three current St. John's families. 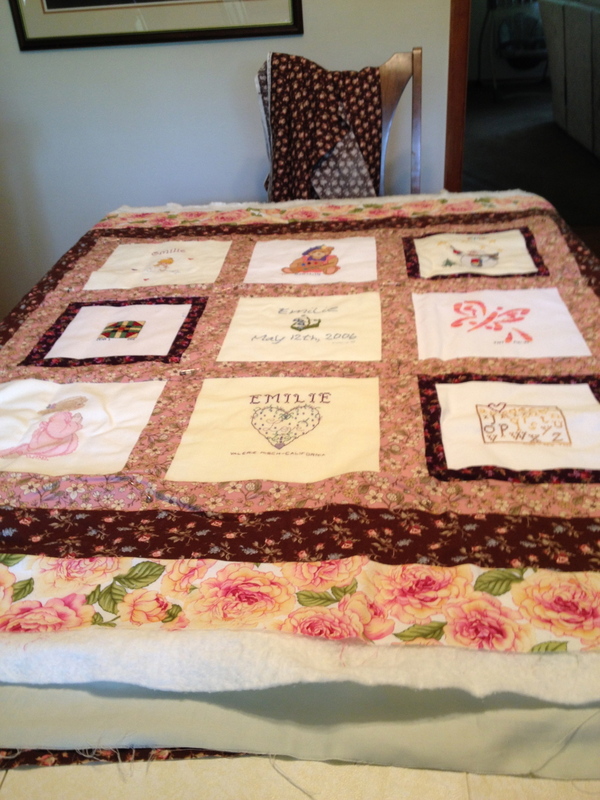 After Gail Coyle's untimely death in 2002, Pat and Emily decided to teach their skills to another generation of quilters in honor of Gail, hence the title of the group "Quilting in Honor of Gail". It is a congenial group who enjoy getting together while learning, improving techniques and swapping skills. Quilting is not just a pastime. For example, during the war in Afghanistan the Episcopal Church gave material for 60,000 quilts to Afghan women in refugee camps. Those women made 20,000 quilts for themselves and 40,000 for others and for fund- raising. The quilters usually meet on the fourth Tuesday of the month from 12:30 to 2:30 pm at the church. 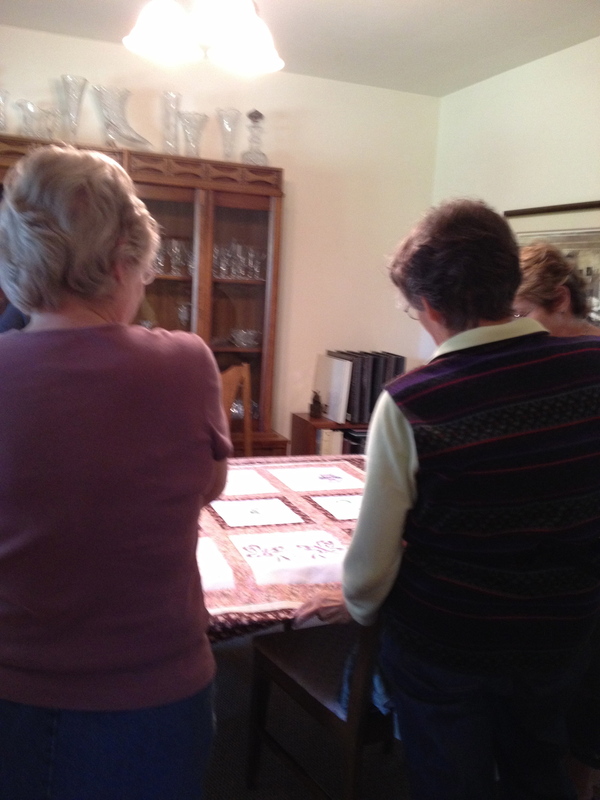 The group also plans field trips to quilting exhibits and shows. Newcomers and experienced quilters are always welcome. If you are thinking of joining the quilters please call either the church office (845-634-3601), Pat or Emily for more information.